Benoit's Design Co. is a Maine-based creative design studio offering laser design services, dye sublimation services, home décor, and custom gifts. Driven by their passion for design and technology, they create beautiful accent pieces that fuel inspiration, making them the perfect finishing detail to any event. Their wedding collection allows engaged couples to have unique items that add a little extra personality to their special day. 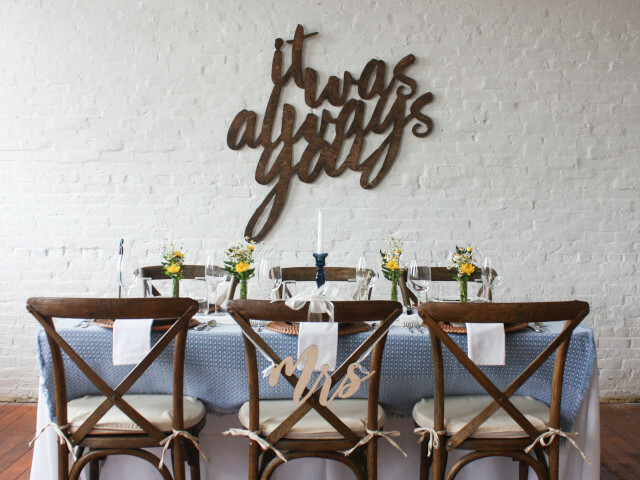 From chair signs to cake toppers, Benoit's Design Co. has items to suit any wedding aesthetic.